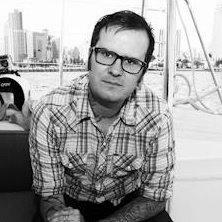 Hey, I am Dan Arel: a writer, speaker and secular activist living in San Diego, CA. I focus on issues such as humanist parenting, science education, church-state separation issues and secular public policy. I am also a Biological Anthropology undergraduate focusing on primatology (studying the evolution and behavior of non-human primates), while minoring in sociology to give myself a broad look at our evolution through time and the effects on our societies and culture. Through my studies I became very interested in moral philosophy and free will. Having had an amazing philosophy professor in my early college courses, I was able to learn about morality and how it infuses so cleanly with the humanist and Brights movements. Learning what science can tell us about morality and why we do so many of the things we do speaks volumes to any naturalist and spoke very loudly to me. You can find more of my writings at www.danarel.com.